I am building custom narrowed Ford 8.8 and Ford 9″ rear axles. 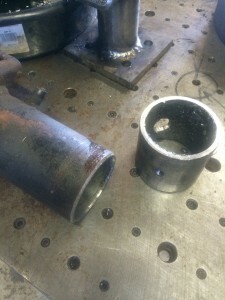 Prices start at $850, and go up from there depending on what other services and parts need to be added to the project. 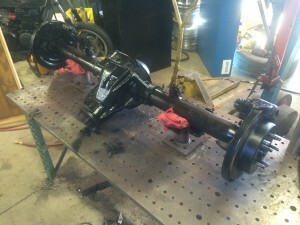 Ford 8.8 axles are 31 spline, typically disk brake, but I also have drum brake setups for those who do not want to bother with proportioning valves, and come with new axle bearings and seals, as well as, new parking brake shoes for disk setups, because they are a tricky job to do when the axle shafts are in. 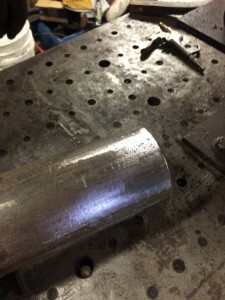 I usually stock the most common overall width, 56 1/2″ from wheel flange to wheel flange. 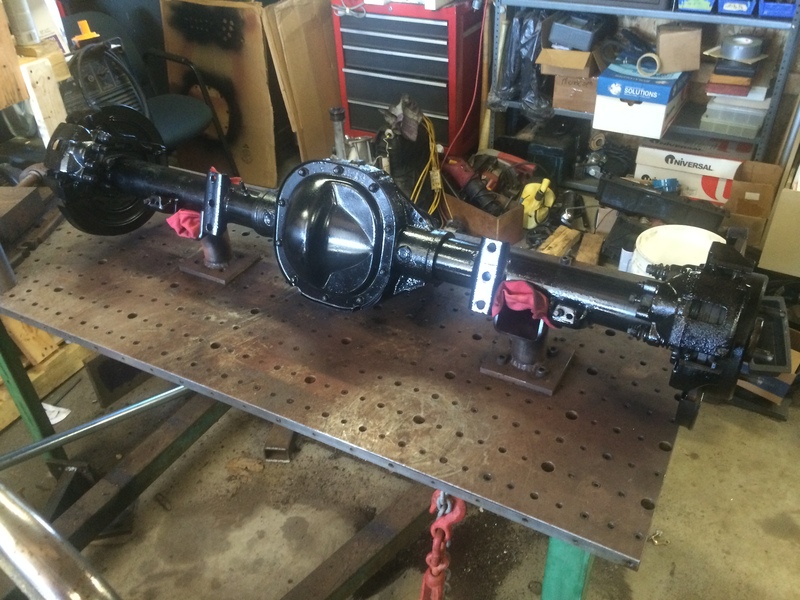 For an extra $100, I can re-drill axles and rotors. I prefer to re-drill new rotors, which are typically around $45 each, and I can locate the spring perches any width you require. You can supply the rotors, or I can source them. If you prefer drilled/slotted rotors, I suggest R1concepts. they have a variety of rotors for any application. This axle is all setup for a parking brake, and uses all oem parts you can find at the parts store if needed. Perfect for classic mustang, fairlane, falcon, cougar, and any other hot rod, street rod, ratrod, classic or other project. Gear ratios available are 3.73, and 4.11. Other factory ratios are 3.27, 3.55, but are harder to find, especially with disk brakes. However, I can setup any gear ratio you prefer as long as they are new or good used. Shipping not included. For an extra fee I’ll build a skid or crate and have it ready for pickup.